Fans of the Tomb Raider franchise were elated earlier this year when Square Enix announced that a new game in the series would be coming out this year. 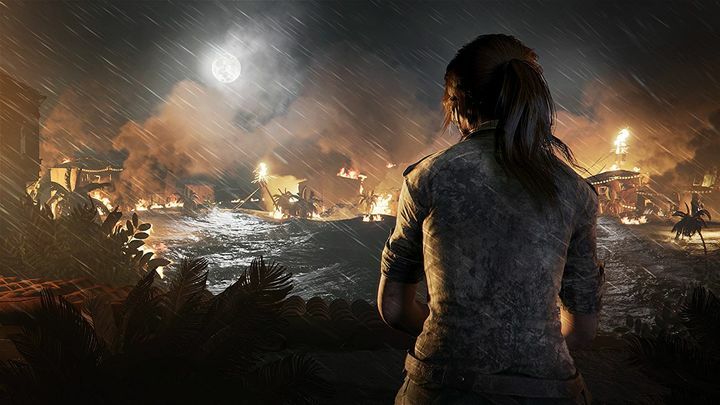 Titled Shadow of the Tomb Raider, this new entry in the franchise will feature gameplay similar to the 2013 series reboot and 2015’s Rise of the Tomb Raider, arguably the best game in the series to date. Like in the earlier entries, motion capture work for Lara Croft will be provided by attractive British actress Camilla Luddington, while this new game in the series will boast a new South American setting and an apocalyptic story featuring Mayan priests, deadly soldiers and other evil forces for Lara to contend with. And as can be expected Shadow of the Tomb Raider will also be a pretty-looking game. Actually, a recent preview video from developer Eidos Montreal reveals that the team behind the game is looking to deliver “very realistic” visual effects in this latest Tomb Raider game. This means you can expect effects like explosions, smoke, water and fire to look particularly good in Shadow of the Tomb Raider. As a matter of fact, technical artist Martin Palko says they actually “measure the temperature of the flame and generate a colour based on that”, which surely sounds impressive enough, while the team at Eidos also put in a lot of effort to make sure that oil floating in water in one scene looked appropriately realistic too. It remains to be seen though, whether the game will be as fun to play as it is good-looking, and whether this will be another Tomb Raider entry that will do the fans proud, something we’ll find out when Shadow of the Tomb Raider is released this fall.